There is an ancient legend about two angels who flew to earth to gather people's prayers. Wherever people bowed in prayer - by their bedside at night, in a chapel, or on the side of a mountain, the angels stopped and gathered the prayers into their baskets. Before long the basket carried by one of the angels grew heavy with the weight of what he had collected, but that of the other remained almost empty. Into the first were put prayers of petition. "Please give me this "
Into the other went the "Thank you" prayers. The "thank you" basket was quite empty. "Your basket seems very light," said one angel to the other. "Yes," replied the one who carried the 'Thank you's'." People are usually ready enough to pray for what they want, but very few remember to thank God when God grants their requests." 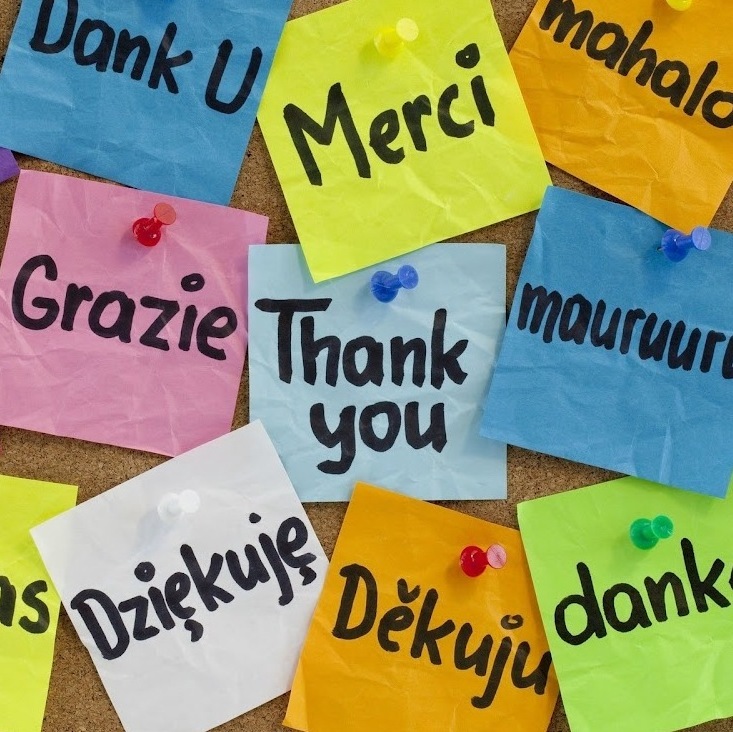 It seems to be human nature to forget to say, "Thank you." I am reminded of reading a story about the Dead Letter Box department in Washington, D.C. that reported that in one year, they received hundreds of thousands of letters addressed to "Santa Claus." The hundreds of thousands of letters consisted of children asking Santa to bring many things for them on Christmas. However, only one letter came after Christmas from a child thanking Santa Claus for the toys she received. There seems to be something within the human spirit that resists the simple act of saying, "Thank you." Yet, these two simple words are what all people long to hear. To know they are appreciated. To know they are seen. To know they are valued. To know they have worth. To know they are making a difference. During this holiday season, perhaps one of the most powerful gifts you could give someone is the gift of telling them how grateful you are for them. One powerful way to say thank you is by writing a letter. Perhaps you could write them an "I've been meaning to tell you letter." I challenge you to write at least one "I've been meaning to tell you letter" this season. Your words of thanks might be the best gift of all.